Advancing education in science, technology, engineering, and mathematics (STEM) in U.S. public schools has been at the forefront of educational issues and a national priority (President’s Council of Advisors on Science and Technology, 2010). The nation’s changing demographics and continued need to remain globally competitive makes it clear that colleges and universities must increase the number of teachers trained in STEM education (Katehi, Pearson, & Feder, 2009). Students in U.S. schools are academically behind their international peers in STEM areas. Currently, the U.S. ranks 17th in science and 25th in mathematics among other nations (National Center for Education Statistics, 2011). President Obama stated that it is a “national imperative,” to train 100,000 STEM college graduates over the next decade (America Chemical Society, 2012). In addition, colleges and universities will need to prepare 25,000 new K-12 teachers in STEM (Boynton, 2012). In order to meet this ambitious goal, U.S. teachers/education professionals must educate and engage students to pursue STEM disciplines including attracting underrepresented groups (e.g., girls and persons of color) into the STEM pipeline (CADRE, 2011; Custer & Daugherty, 2009). There is universal agreement that teachers do matter and, moreover, there exists empirical support that student learning is affected by the qualifications of teachers. This is especially true in mathematics, which is the foundation for all future STEM learning (CADRE, 2011). Although almost all U.S. teachers hold at least basic qualifications (e.g., a bachelor’s degree and teaching certification), many are teaching subjects for which they lack adequate academic training, certification, or both. Another area of major concern is the teaching of STEM subject matter, specifically the integration of technology and engineering into math and science concepts. Technology may not be infused into the curriculum and engineering in many cases is omitted or causes confusion in how it is related to science and mathematics curricula (Vest, 2009). As a result, few K-12 teachers have adequate preparation to teach engineering concepts and content (Custer & Daugherty, 2009). According to the National Academy of Engineering and the NRC (2009), science and mathematics are typically taught in “silos,” as separate, independent subjects. This teaching method can affect the quality of STEM instruction which requires deep content knowledge (in all four areas) in addition to an expertise in teaching (CADRE, 2011). Therefore, it is imperative to train K-12 teachers in STEM subjects. To address this pressing need to train highly qualified teachers in science, technology, engineering and mathematics, this book provides teachers and education professionals the knowledge, skills, practices and strategies to improve standards-based outcomes for students enrolled in STEM coursework. This book is intended for undergraduate and graduate students enrolled in methods courses in Colleges of Education, Colleges of Arts and Sciences, and Institutes of Technology. 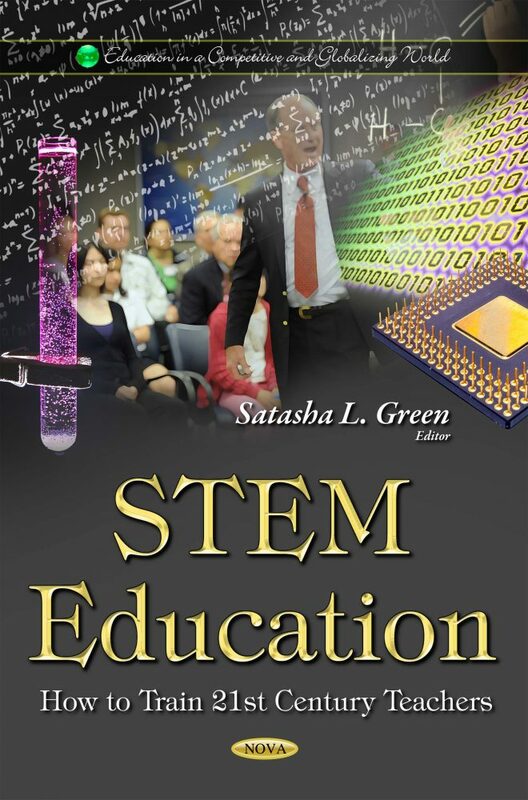 More specifically, this book provides (1) extensive background information to prepare K-12 teachers/education professionals in pedagogy for integrated inquiry-based teaching of STEM concepts, and (2) teachers/education professionals with the knowledge, skills and resources for effective STEM teaching.